Saying Thank you is a basic courtesy to keep the bonding strong and alive. The small words sprinkle your kind attitude towards others. A Thank You letter is a great way of expressing your gratitude and pleasure. 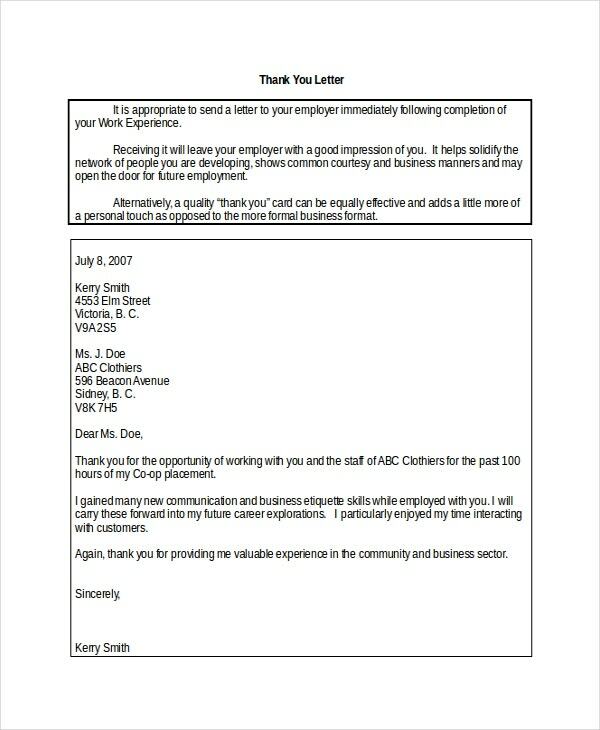 Thank You Letter Templates help you frame a letter of gratification in a more professional manner. There are many kinds of Thank you Letter Templates. In Business, saying thank you is never unwelcome. In fact, the pair of words can make or break a business relationship. However, creating a Thanking letter in a way so pleasing and appeasing is not so easy. 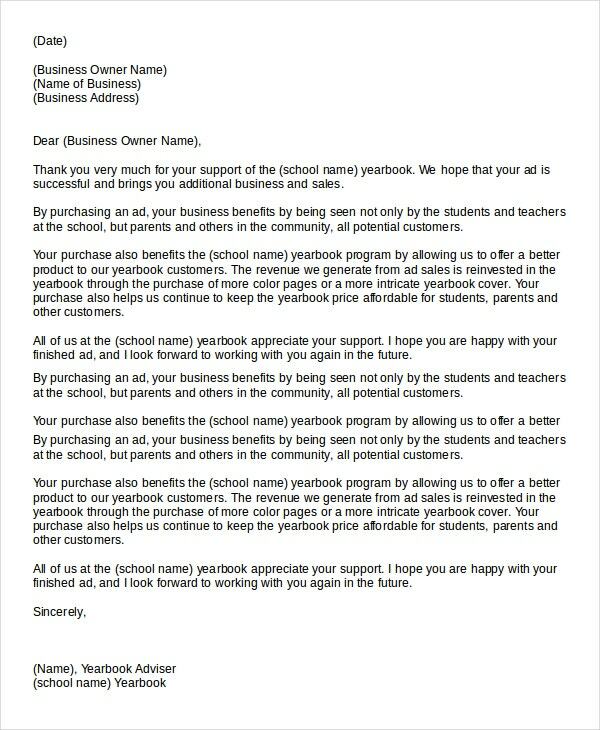 This Business Thank You Letter for Gifts Example is the workaround in that aspect. You can use them to thank your associate for his/her help with a work venture. Do you want to compliment your employee for his/her gifts? Accumulating your emotions and framing them in the right words is a task so artistic. Our Thank You Letter to the employee for gifts example helps you put these things in order without much effort. Our expertise comes in varying the style of writing for each type of Thank You Letter. Electronic Mails or Emails play a key role in this New Media Age. The portmanteau has become the face of professional communication in today’s world with its free instant messaging option. If you are the one who drafts the emails after careful consideration, our Email Thank You Letter Email for gift Example provokes your thought and helps to shape the letter in terms of substance and structure. A scholarship clears your financial debts and paves the way for your future studies and thus pursue your dream career. Hence it is a great thing to write a thank you letter for the grant providers if you are a scholarship winner. 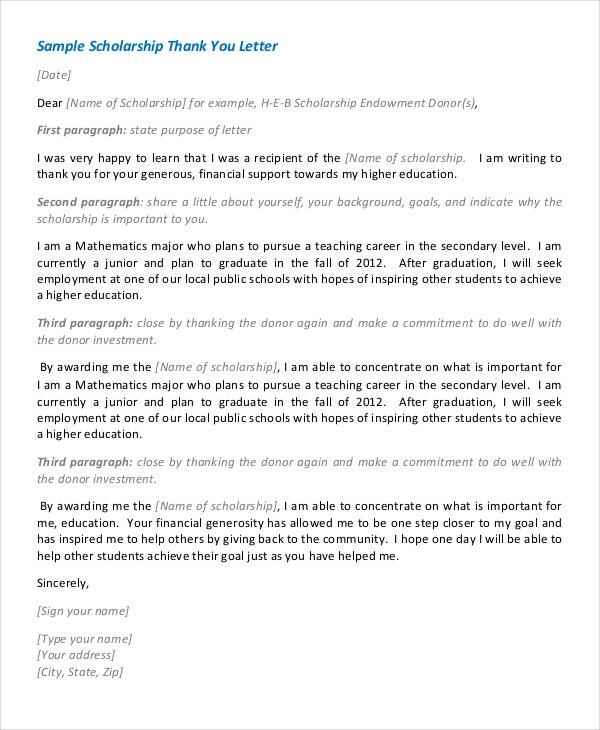 Our elegantly composed Scholarship Thank You Letter Examples help you thank the recruiters who backed your hard efforts. Do you want to Thank your Boss for the birthday gift he/she presented to you in the office? A Thank You Letter is an extraordinary propensity to show your gratification. 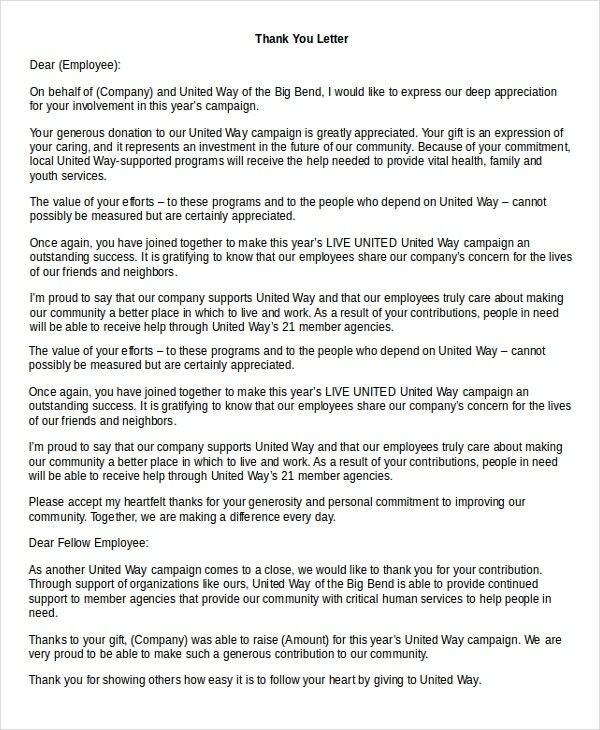 Our Thank You Letter for Boss Example is an informal dialect. They help you take the thank you on a more elevated level. If you are in a state of hurry, we recommend downloading them. After all, you may require your boss’s blessing at one time or the other. A famous dialogue in Julius Caesar is that Caesar cannot be flattered. Of course, the dialogue itself is flattering. :). For that matter, human beings are affectionate towards flattering. 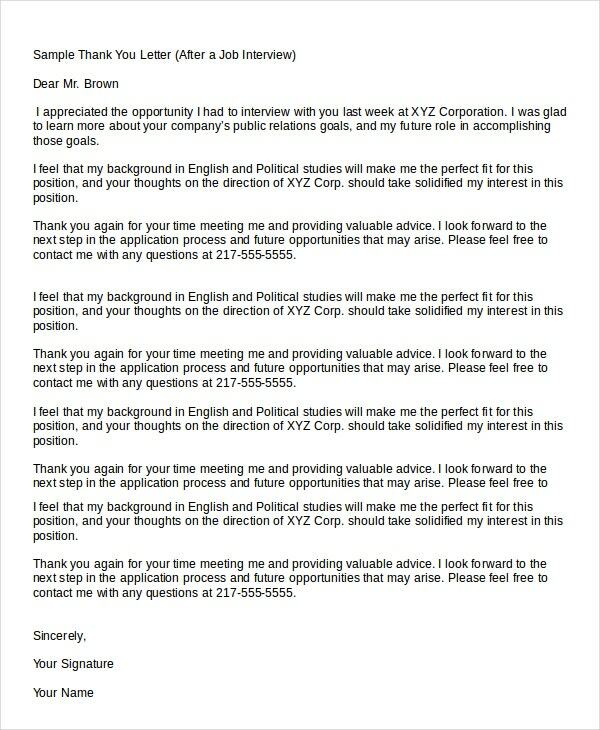 In this regard, it’s an immaculate behavioral approach to thank your recruiter after the interview. The more pleasant you are, the more referrals you may get from them. 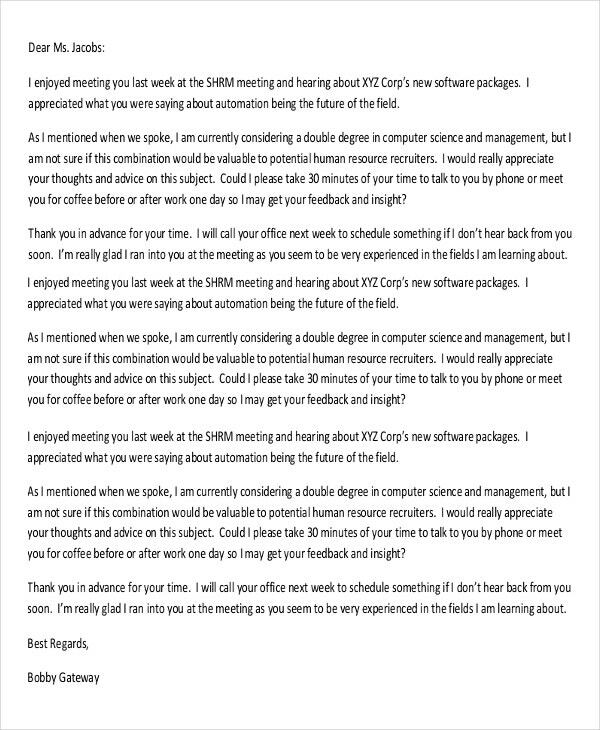 Our Thank You Email After Interview Examples accompany test content that can be changed according to requirement. Parents are inarguably the best teachers for any person. The perpetual adoration, penances, the determined backing can just come from none other than our parents. The least we can do in return is express our gratitude towards them for all that they have sacrificed for us. Thank You Letter to Parents for Gifts Example do the same. After all, parents never expect anything from us. > How to write a Thank You Letter for Gifts? Are you not drawing enough to make your case? Or is your Thank You Letter not enough engaging? Put a stop to all your worries now. In any case, our Thank You Letter Templates are exceptionally decent catches. They are available in both grayscale and color. Add your personal flair by editing one of our beautifully made layouts! It’s as simple as finding the images you like, choosing awesome fonts and colors and adding your personal message. Give them the proper output they deserve. You can also see Cover Letters. > Why to Say Thank You? Well, the words Thank You are truly magical. They keep the communication loop open between you and the other person. Thank You Cards are a great way to show our affection and whenever someone takes their thoughtfulness and liberality to surprise you through gifts in weddings, birthdays, and other extraordinary life events, saying thank you regardless of what you got is a basic courtesy. Forgetting this make them feel underappreciated and it not only upsets and annoys people but also makes you bad. These Thank you Letter for Gifts Examples help you prepare them in the briefest time conceivable.